For rapid reliable diagnostic information, we have 2 Abaxis Vet Scan blood analyzer which provides blood chemistries within 15 minutes. 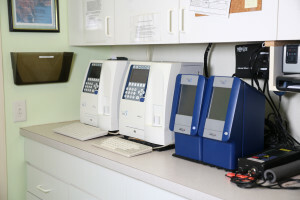 We also have the Abaxis HMII and HM5 Complete Blood Count Analyzer which tells about the red and white blood cells. Other test kits provided by Idexx help to diagnose diseases such as pancreatitis, giardia, feline leukemia and feline aids, and a blood parasite test which screens for heartworm, erlichia, lyme and anaplasmosis. Allowing us to care for your pet in the BEST possible way! 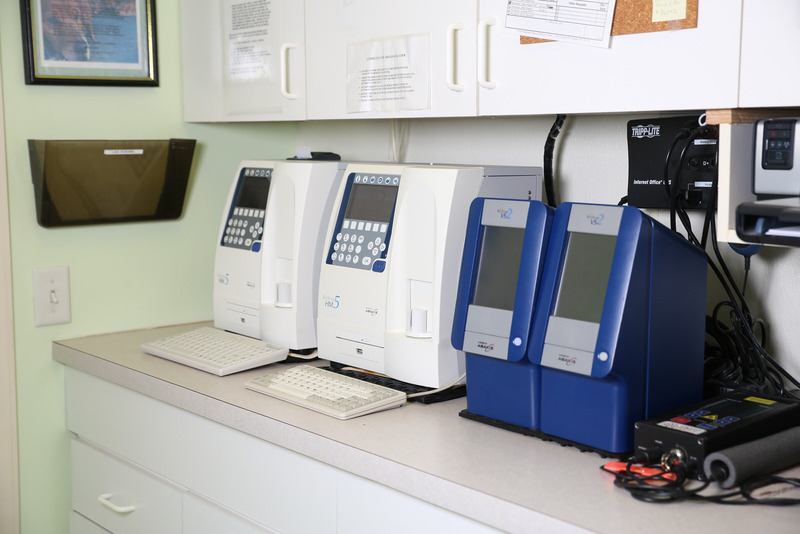 For more extensive testing, our clinic uses Antech Diagnostics, which is the largest provider of veterinary diagnostic testing in the US. 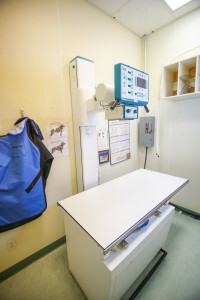 Digital radiography allows us to quickly retrieve images so that our veterinarians may diagnose your pets condition or share images with specialty veterinarians with the touch of a button. Giving quality care to your best friend!